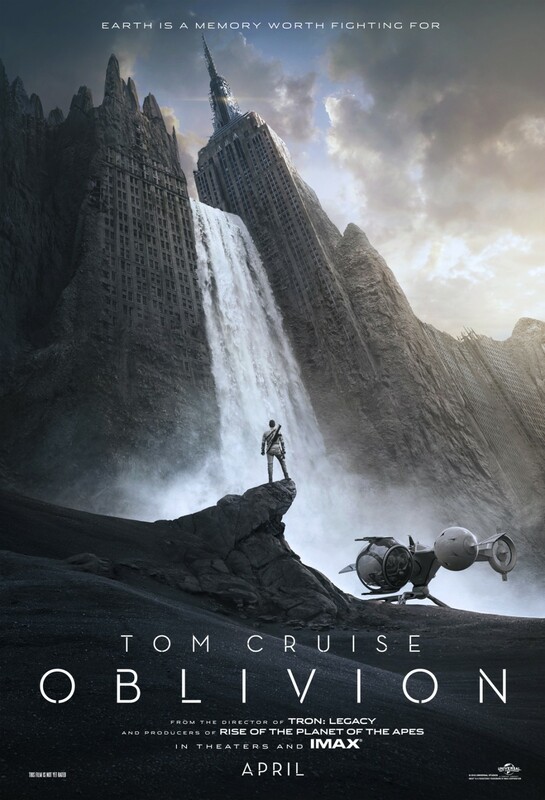 Oblivion – Earth is a memory worth fighting for. It is the distant future, well beyond a war where aliens tried to eliminate all of man kind. Man won the war but Earth was left virtually uninhabitable. Jack (Tom Cruise) repairs drones that protect the generators that provide energy to the new colony Titan where all of the survivors have gone to. Jack and Victoria are almost set to join the people on Titan and as their departure date gets closer things start to happen. There are some spectacular special effects along with an excellent plot that make this movie well worth watching. Once again Tom Cruise does a great job. I actually got a sneak preview of this movie with my friend James (who I will thank again) it was the first movie that I have seen in Imax. Go see this movie you will not regret it. If you liked this try: Outland, Book of Eli.